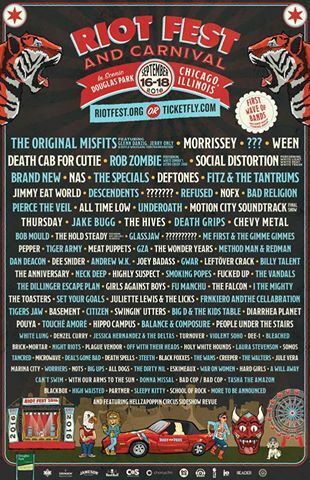 The Chicago edition of the Riot Fest 2016 has announced its first wave of artists performing. The fest itself will be held on September 16-18, 2016 at Douglas Park. More artists are expected to be announced but this is who is on it so far.